On a blind listen, I’ll venture nine out of 10 trance page readers could identify who’s behind this. 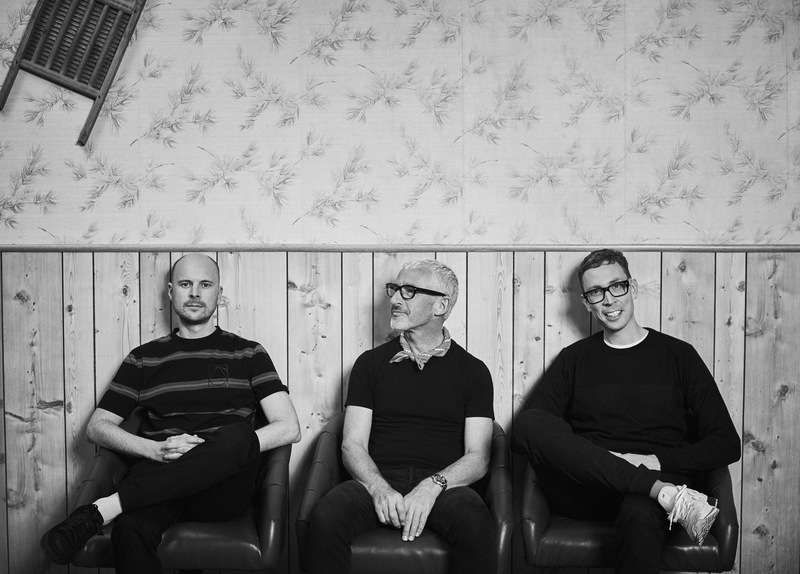 That’s not to say Above & Beyond have become obvious — anything but. These days, their vocal elements are only uniform in how distinct and different they are. Laced by blues, folk and other fleetingly at-odds accentuations, comparably, Marty Longstaff’s lyrics are occasionally pondering, often pensive and never less than affecting. Wonderful gear. Diversifying musically from the out-and-out tough stuff has worked pretty well for Sneijder, serving us numbers such as ‘Back Home’. The track’s intro melody is simple, yet beguiling, feeding into a lead that’s catchily effective in the extreme. However, it’s the vocal aspect that brings home the real bacon. Calling, beckoning (it's all in the title), it has an unshakable 'eau de early A&B', and when song and mainline meet, honest-to-goodness magic happens. ‘Beetlejuice’ is the first track to come from John O’Callaghan and Bryan Kearney’s until-now locked-up Key4050 repertoire. Tech incessant, taut, urgent and with the titular chant looped to nagging effect from its off, floor-side, it’ll be as close to instantly recognisable as you’ll find this month. The track is certainly stylistically representative of what Key4050 do, but with 31 other — almost uniformly excellent — blitzers following right behind, maybe best wait for the album. Coldharbour’s new Black label continues its fault-free run of form with this three-tracker. If you’re looking for something to brighten up the front end of your year, Mike EFEX ain't about to deliver. An EP whose musical soul radiates dark, humid or intense feels (occasionally managing all three in a single sequence), its excitement line rarely drops below ‘thrilling’. Impossible to pick a winner between ‘Berzerk’, ‘Chronos’ and its title track, collectively they’re a thundering, strobe-lit, tech-express you won’t want to miss. ‘Celestial’s title gives a reasonable idea of what tip we’re on here. Maor, however, has a decent amount of curveballs to lob in there, too. Foremost is the track’s metallically percussive tech-trance opener, which is enjoyably inconsistent with what follows. Namely, notably fresh and wildly contrasting male choral song and chiming melodics, the effect of which is amped by expertly timed key changes. Nothing less than spiritual, they brilliantly stage-set ‘Celestial’s uplifting final act. Two more gems from the resurgent Darren Tate. With a mass of trademark thermal pads and wash, ‘The Edge’ just has the edge over the cooler tempo and faintly housier polish of ‘A Million Ways’. Both tracks enjoy more than the average share of moments, though. From Penner’s ‘Radio Silence’ longplaying debut, an EP foretaste. The bass of Oceans Between’ warms up the release’s valves. Its underlying pulse remains distinctly trance, while the fine-tuning of its other aspects and elemental flirtations (deep house and techno being among them) makes for a persuasively exotic listen. Continuing in that vein, ‘Down Again’s beautifully bleak vocal tone, and the off-the-cuff feel of its lyrics are engagingly odd, and oddly irresistible. Few make electronic music simply for the dollars these days, but there’s almost always an agenda. Not so one suspects with Mark, which is why his music sounds the way it does. A veritable menagerie of favoured sounds and sequences assembled into a track, it’s not so much off-piste as no-piste. ‘Pledgerson’ is detectably trance, but unless you count ‘deep, dark and fast’ as a sub-genre, this will thwart all further attempts to file. Eximinds were an outfit that threatened that rarest of things - a trance breakthrough. Then – for reasons unclear – fell short. Their latest (for Alexander Popov’s Interplay label) is another fine example of what put them in that running. With remarkably subtle psy undertones, ‘Samadhi’ energetic platform supports an exotically dazzling/highly captivating Eastern female refrain and melodramatically ace prog-rock guitar line. Must-hear-gear for the month. Musically interpreting the cosmos is starting to feel like a life’s work for Mike Saint-Jules. Titular and otherwise, a substantial number of his tracks point to the heavens above. Frankly, with all that looking up, it’s a wonder he hasn’t done himself an injury! It’s a worthy endeavour, though: no one in trance seems to conjure it as naturally as he does. In unhurried fashion, ‘Black Hole’ uses early Moby-esque strings, analogue-sounding pads, and deliberately elegiac piano to record the night sky. New stylistic inclinations still creeping their way into MaRLo’s output. Last year’s ‘Enough Echo’ got the ball rolling, and now here are two more, broadly in the same lane. ‘Abandoned’ is tech-ish trance with a healthy splash of ‘Rez’ about it. ‘Abyss’, meanwhile, is highly effective psy stuff with a soupcon of Shrink’s ‘Nervous Breakdown’. Another welcome returnee to the production fold, AJ Gibson drops his first in a dozen or so years. The former Godskitchen ressie shuffles and hustles ‘Prayer’s rain-cry vocals, sub melody stimulation and full-beam mainline into a decisively effective uplifter. 1. 1979 'Distanza' fryhide "Often simplicity is the most powerful tool in my arsenal. With a thick warehouse kick and a sprinkle of percussion, this track’s melodic synths have been making incredible moments." 2. Tim Penner 'Rebirth' JOOF Recordings "I tried to write the perfect closing track for my ‘Radio Silence’ album for a couple of months, but nothing was feeling complete and fulfilling… until I stumbled upon this arpeggiated melody combination, that is." 3. Solid Stone 'Body Language' Phenomena "Probably one of my most played tracks over the past few months. It’s a secret weapon I can use to change the mood in a club immediately, and take it to a darker, more intense place." 4. Tim Penner 'Down Again' JOOF Recordings "The first time I played this track in a club, the place went nuts. There’s something about the drawn-out vocals mixed with the sharp, cutting synth that seems to get people excited." 5. DJ SAN 'Cupola (Jerome Isma-Ae Remix)' Transpecta "I’m a huge fan of Jerome Isma-Ae. Everything he touches is gold, and this track is another example of his brilliant ability to blend genres." 6. Tim Penner 'Force Density' JOOF Recordings "One of my favourite tracks to play live, because it gives me a chance to really tweak and manipulate the sharp synth arpeggiators on-the-fly." 7. 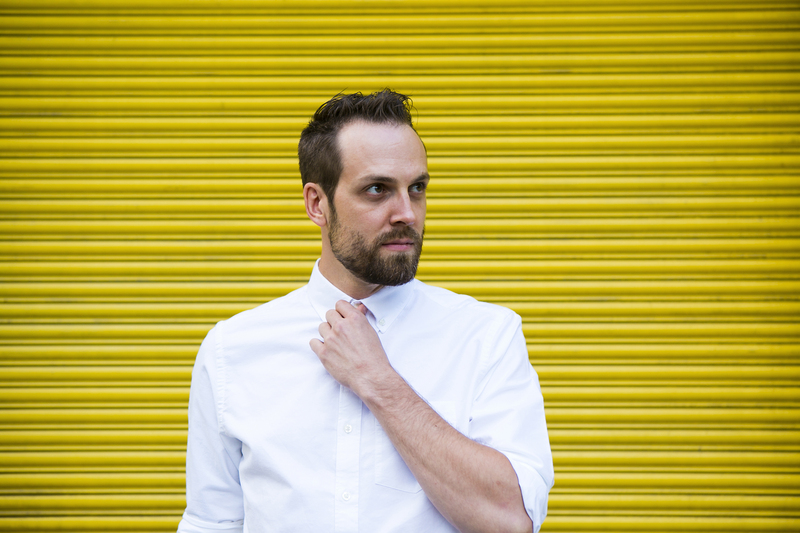 Oliver Winters 'Inside Out' Progressive Astronaut "A perfect example of dark, brooding music. This track’s rolling bass and kick create the perfect path for its gritty bass synth melody." 8. Mir Omar 'Until November (Paul Angelo & Don Argento Remix)' 3rd Avenue "A perfect progressive mood setter. This track has pure, grooving bass with a captivating, hypnotic pulse that creates a free-flowing vibe." 9. HOSH & Tone Depth 'Express' Fryhide "HOSH and Tone Depth are an incredible team. There’s something about the pulsating four-four drive that gives me instant stink-face when I hear it." 10. David Keno & Beatamines 'Omega (Quivver Remix)' Lauter Unfug "Not much needs to be said about an artist like Quivver. This track is pure, rolling underground bad assery. Wanna take things deeper? Play this."